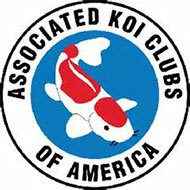 If you have gold fish or koi you no longer want, please contact us, we maybe able to find new homes for your fish with one of our club members. PLEASE do not release them into local ponds, streams, rivers or lakes! That is bad, really bad. Visit the Nuisance Species page to identify how you can prevent and control problems with wildlife. Invasive species are non-native species that can cause harm to the environment, the economy or to human health. Invasives come from all around the world. As international trade increases, so does the rate of invasive species introductions. Why are invasive species a threat? A regulation was adopted in July 2014 that prohibits or regulates the possession, transport, importation, sale, purchase and introduction of select invasive species. The purpose of this regulation is to help control invasive species, a form of biological pollution, by reducing the introduction of new and spread of existing populations. This regulation becomes effective March 10, 2015. Two species, Japanese Barberry (Berberis thunbergii) and Eurasian boars (Sus scrofa) have grace periods. See the frequently asked questions, below, for more details. For additional questions on this regulation, please call 518-402-9405. Use the links below to find information on specific invasive species learn what DEC is doing to combat them.